Learning Python, this book, provides a comprehensive and application-neutral first look at the language itself, designed to help you master Python no matter how you plan to use it. Programming Python, a follow-up book, picks up where Learning Python ends, focusing on common ways to apply the language once you've learned it, and providing larger and more complete examples. In addition, the book Python Pocket Reference serves as a reference-only companion to both these books, providing quick access to supplemental details when you need them. It's also important to note that this is not a release-specific book. Because it stresses core Python concepts, it applies to all Python versions in common use, not just those it was updated to be current with at publication and listed in the table above. 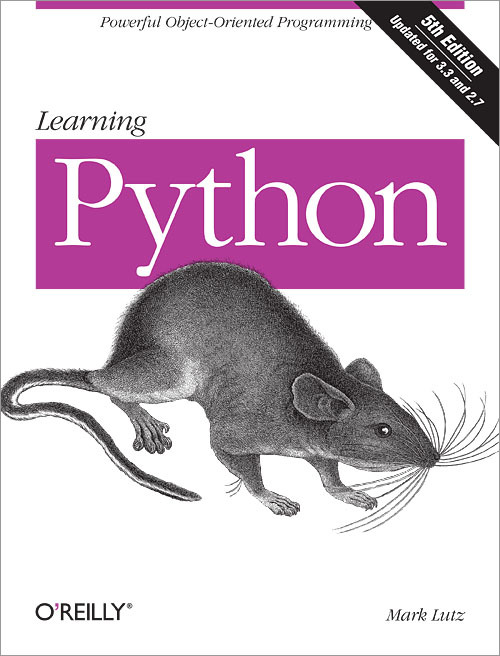 Given the long tenure of this foundational text, its extensive coverage of language and programming fundamentals should also continue to apply to Pythons in years to come. For more on this book's scope, see also these content pointers.